Thank you Sean I think I got my sanity back after contacting your company. 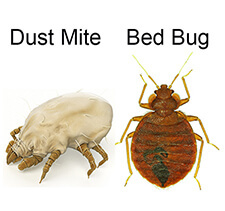 I first used borax when I found out that the bed bugs were the culprit of the itchy bites that were appearing on different parts of my body. After much searching on google on how to get rid of bed bugs, once I worked out what they looked like borax was one of the cheapest options around. I bought many tubs of borax & spread the powder in all the places that several sights recommended. To my relief no further bites & relief in getting a good night sleep. Up until then I started to develop some anxiety in going to bed. To my further annoyance I continued to get bitten, not in my bed but through my clothes. After much more searching the internet suggesting that, washing, vacuuming & using a dryer was a compulsory addition to getting rid of bugs. Several weeks later my weekends were spent washing / drying/ vacuuming / buying tubs placing all my clothes in these tubs to prevent cross contamination. It appeared that the infected areas were the main bedroom, lounge room & car. Then a break through I found your company website, I watched you video & repeated to the letter placing borax in every nook & cranny that I needed to cover. Being bitten stopped. I sent an email requesting some assistance to see what else I could do. I received a call within 24 hours & spoke to Sean who reassured me I wasn’t being paranoid & relieved my anxiety. I was sure borax was solving my problems but not sure how long. Still being bitten but not as much as before. Sean recommended that bed bug powder was one application & long term , but he wasn’t sure about borax, but appeared impressed that I was proactive in trying to solve my dilemma. I was desperate, so I purchased the powder & the steamer. Several weeks later, thus far no further bites. Life is almost normal, but not yet. So thank you, your site is practical & reassuring that we are not going crazy with these pesky bugs.